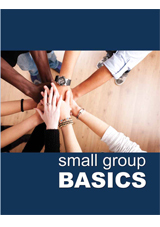 This dynamic manual offers field-tested training to help you grow effective small groups. Expect to receive practical insights. Learn scriptural values important for growing successful small groups. Sessions cover topics applicable to small group leaders, interns, future leaders, pastors and leadership teams.